Dear Dorian, How do I book a game? 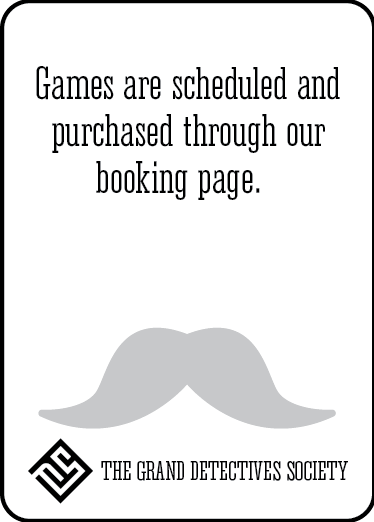 Games are scheduled and purchased through our booking page. Booking may also be done by phone. Call us at 949-535-0211. 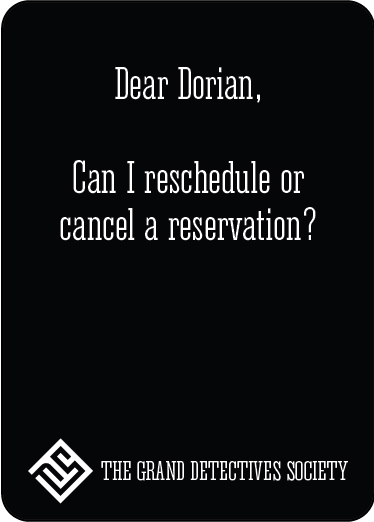 Dear Dorian, Can I reschedule or cancel a reservation? Any cancellation or rescheduling requires miniumum 48 hours' notice. 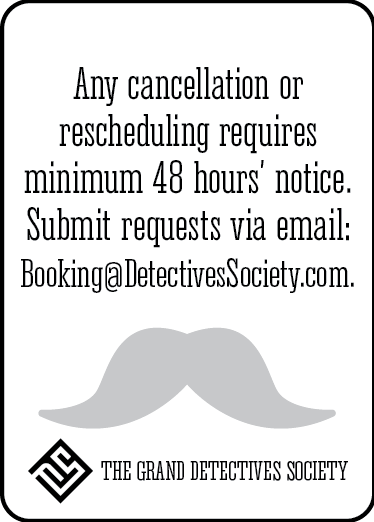 Submit requests via email: Booking@DetectivesSociety.com. 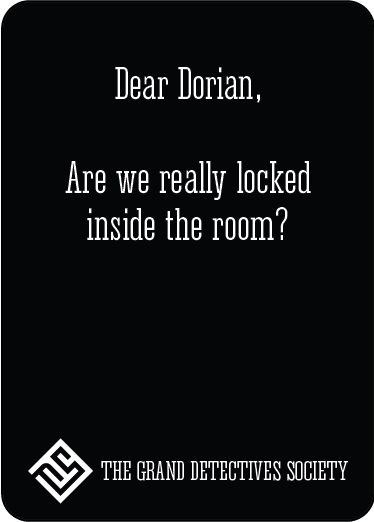 Dear Dorian, Are we really locked inside the room? 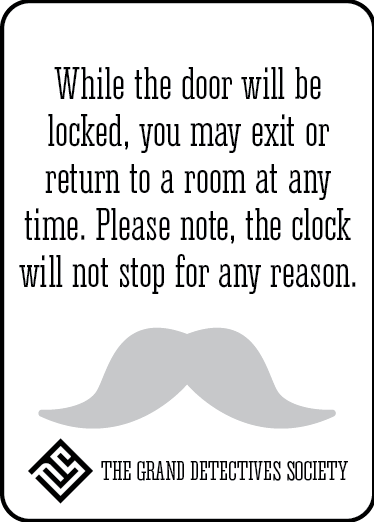 While the door will be locked, you may exit or return to a room at any time. Please note, the clock will not stop for any reason. Dear Dorian, Will other people be in the room with us? 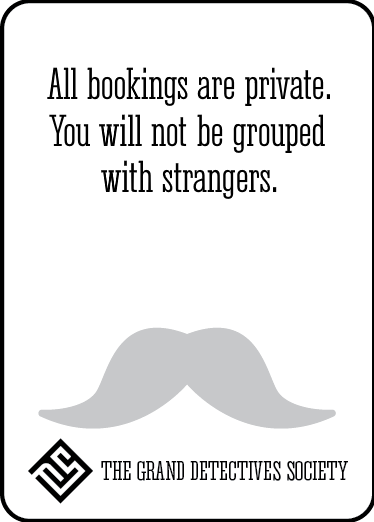 If you wish to have a room to yourself, you must purchase all tickets for that specific date and time. Otherwise, those tickets will remain available for booking. 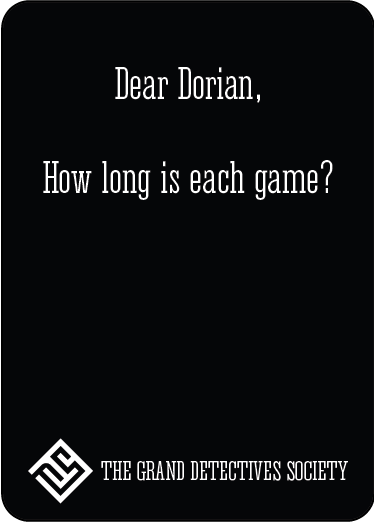 Dear Dorian, How long is each game? 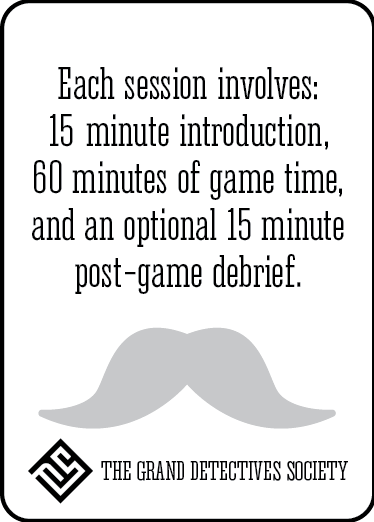 Each session involves: 30 minute introduction, 60 minutes of game time, and an optional 15 minute post-game debrief. 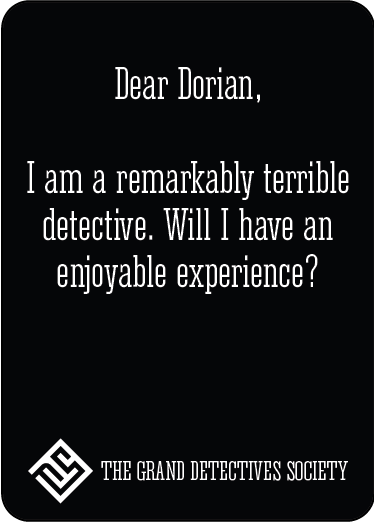 Dear Dorian, I am remarkably terrible detective. Will I have an enjoyable experience? Yes. 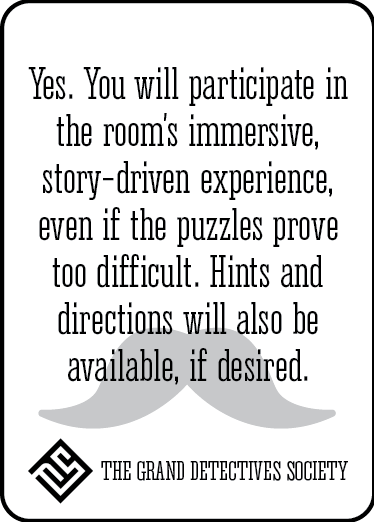 You will participate in the room's immersive, story-driven experience, even if the puzzles prove too difficult. Hints and directions will also be available, if desired. Dear Dorian, I am a remarkably brilliant detective. Will I have an enjoyable experience? Absolutely. 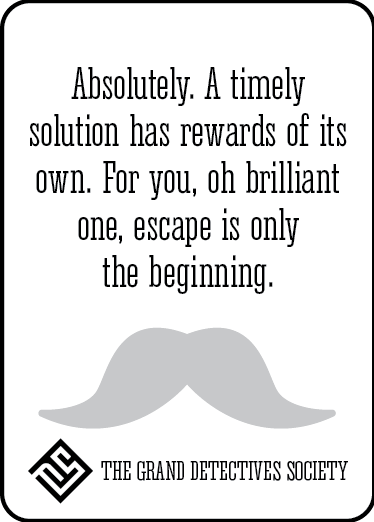 A timely solution has rewards of its own. For you, oh brilliant one, escape is only the beginning. 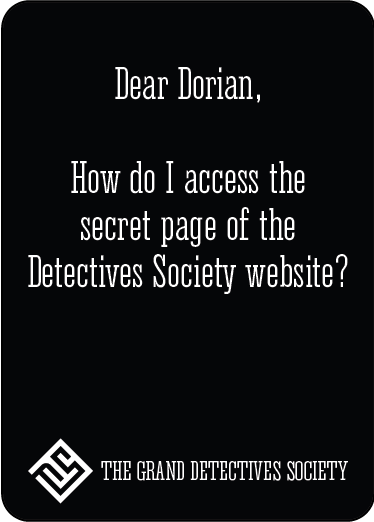 Dear Dorian, How do I access the secret page of the Detectives Society website? 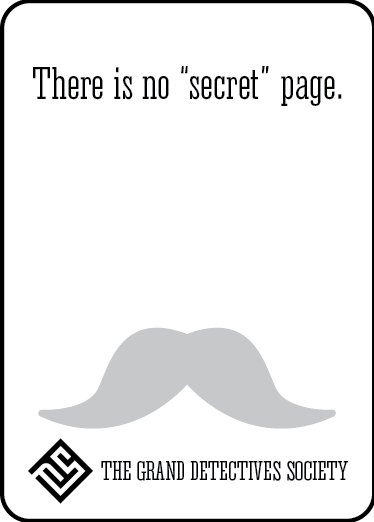 There is no "secret" page. Dear Dorian, When should I arrive? 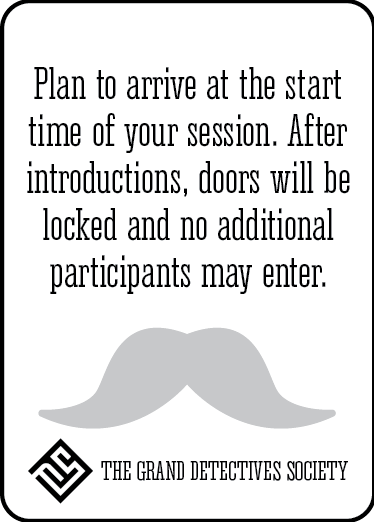 Plan to arrive at the start time of your session. After introductions, doors will be locked and no additional participants may enter.